This entry was posted in Analysis Services, PowerPivot, PowerShell, Tabular and tagged backup, distribute, restore by Gerhard Brueckl. Bookmark the permalink. Did your SSAS Tab -> PowerPivot contain many measures? Did they all transfer correctly? my biggest test contained about 50 measures, which all got transferred correctly. are you having issues that some of your measures do not get transferred correctly? The import works wonderfully but the model seems to have detached itself from y datasource. When I refresh I get an object reference not set error. in my tests this worked just fine and also a refresh in the final PowerPivot model worked. Do you use any special data source or provider? Maybe the provider is not installed on the client or something like that? I ran all my tests on Excel 2013, what version do you use? ‘We couldn’t load the datamodel. This may be because the data model in this workbook is damaged”. Hi Gerhard, great stuff here, however I am seeing the same issue that John is seeing above. My SSAS version in 11.0.3.0000 and am running Excel 2013 with Add-in provided by Excel itself. So I am not sure of the version conflict? Any thoughts? there were some changes from SP1 (which you are using) to SP2 which may cause the issue. Is it possible for you to upgrade to SP2? Do you have any experience of whether the xls files “suffer” from the zipping procedure? What do you mean by “suffer”? Great, this is the answer I was hoping for. I wondered if anyone has tried this for a SQL Server 2014 Model? I followed the procedures but it doesnt seem to work when I open Excel. I have tested with SSAS version 12.0.2456.0, Excel 2013 and got “We couldn’t load the datamodel. This may be because the data model in this workbook is damaged” message. might be that this does not work anymore with later SSAS versions. As I stated in the end of the post, this was never officially supported by Microsoft so this behavior might change with newer versions. your approach worked for me; thanks for your post! 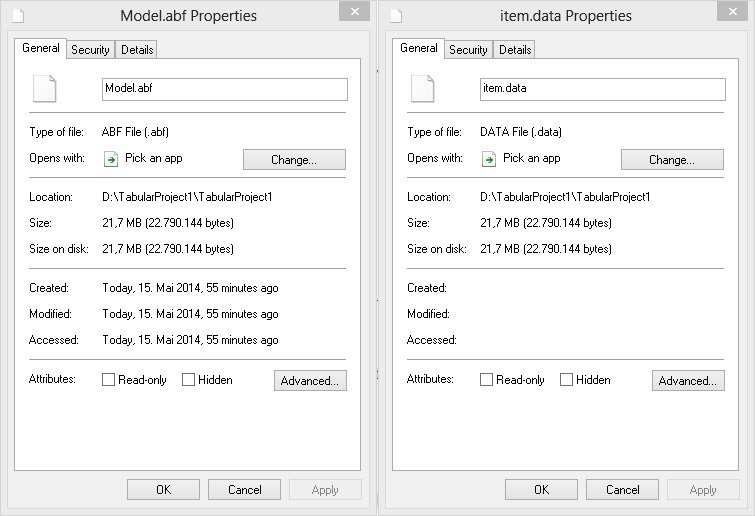 Please read my recent blog post about it: “Updating PowerPivot model and PowerView report with PowerShell” http://datanrg.blogspot.ca/2015/06/updating-powerpivot-model-and-powerview.html. great that it worked for you! This is a great find, but unfortunately I can’t get it to work like a lot of other comments. I think I will install a new instance of SSAS which has been confirmed to work. 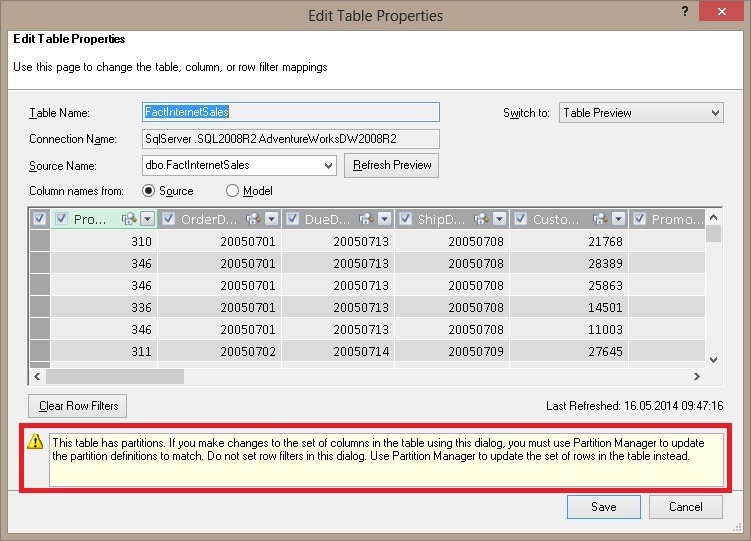 From your experience which versions of SSAS works? Just 11.0.5058? Also does this still work with the latest update of the O365 Excel 2013? Have you tried it with Excel 2016? I already replied to the other comments and just referred to the end of the post where I write that this is not a supported approach by MS and might not work with other versions of Office/Excel or SSAS. If it does not work for your specific versions, you need to test it for yourself which versions work or do not work. Sorry that I cannot provide any better solution here, I can just say that it works if you have the right versions. Can I still follow your instruction if my SSAS source isnt designed in PowerPivot in the first place aka its started off as Tabular but want to downsize to Powerpivot? to be honest, I dont know and it depends on a lot of different factors as you may already know by reading the other comments. Power Pivot (and Power BI) is evolving very fast and this behavior may change with every version. Also, considering that it was never officially supported, you will not find anyone who will be able to really help you in this case. This worked for excel 2016 & SQL server 2016 RC0. Thanks it lovely solution. I have suffered because of now knowing for the last three years. great to hear and that you have found another combination where this works! Recently In my company there is hard disk on all server. So all the backups are deleted with SSAS Tabular Model backup files and Model also. Also Backups are not recovering from hard Disk. Is there any way to restore the tabular model from Excel File ya Another other approach. Please Help me its Very Urgent. As i said there is no backup file i’m having. i just only have Excel file. Is it Possible to recover tabular model from that Excel file ? Is it possible to convert the regular file into power pivot ?